This research activity is focused on the analysis of earthmoving machines behaviour during the operative phase. 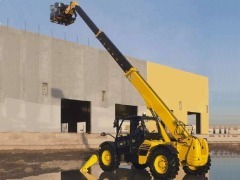 The models and software developed are applied to simulate a telescopic handler, but they are general enough to be used for any kind of earthmoving machine. Thanks to a careful kinematic and dynamic analysis, the machine�s behaviour can be studied both in the static and in the dynamic fields. In other words, not only the force of gravity but also the inertial forces and torques and other external forces are accounted for. 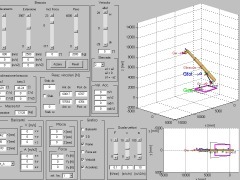 These methodologies can be used both during the design phase (to draw the machine load charts) and in the operative phase (to on the fly estimate the real working condition of the machine and the nearness of unsteadiness configurations). These information can be used not only to give a visual and/or acoustic feedback to the operator, but also to implement a stability control system of the machine.